'THE GHOSTMAKER' centers around a group of college friends, who discover a 15th century coffin that allows them to experience the world as ghosts. While their first adventures in the spirit world are playful and innocent, the Box of Shadows soon brings out the group's most dangerous impulses and desires. The friends find themselves pulled into a world of evil where they learn the line between life and death is there for a reason. 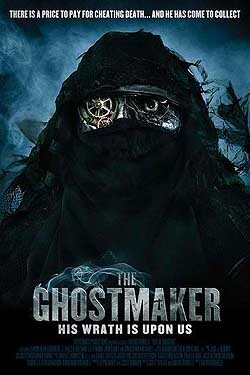 'The Ghostmaker' stars Liz Fenning, Aaron Dean Eisenberg, Jared Grey, J. Walter Holland, and actor/writer Domiziano Arcangeli, and was directed/written by Mauro Borrelli. “Would I have preferred the first to the second, I think my answer is already told,” he laughs. Is 'The Ghostmaker' actually based, as it states, on a "true story"?! "I believe it is based over a few true stories of people we all knew, and, who were experimenting with drugs. I am not sure it went all like that, but, definitely some of those guys truly existed. And, some otherworldly, mysterious situations, at times, did take over reality. It's been a life of darkness for many, while, we all are always looking for "a coffin", for an escape ... don't you believe?" I could see this film being a comic book - has that ever crossed your mind? “No, not at all. Maybe Mauro has, because he is very fond of comics. But that happens often that a comic book becomes the source for a movie. I must say that when it’s done with style, like ‘Sin City’ that very much interests me. But when it becomes more like the Marvel comics it bores me to no end,” he laughs. Was all that stuff about "7hz" (the frequency) actually real? "A supernatural thriller needs to always take you to a dreamy place, ideally, that eventually will turn against you! There you have it. I don't believe there's a formula to make a film, but certain genres must have a few, at least, of the ingredients necessary! I think the "frequency" was definitely one of those!" The end statement of the film, “Death always walking with us - just waiting for the time” is morbidly creepy, and yet true! Do you yourself believe in the Afterlife, perhaps? “Oh I do. Yes. I profoundly do believe in the Afterlife, yes. Absolutely. 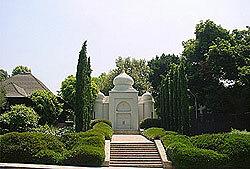 In fact I am a Hindu and I go to a temple in Hollywood called the Vedanta Society which was created by a very, very famous, English writer Christopher Isherwood." "Christopher is such a wonderful person and I was so lucky to have met him. He was also a writer in Hollywood in the 1930’s. And I guess being a gay man back in 1930’s England was full of atrocity. People saying they hated him, but he still tried to set up a different lifestyle which was possible there." Finally, you have acted in 18 new projects since this was filmed! Do you ever sleep?! "Sundays, mostly! No, truly, life is just moving so fast these days I have barely the time to think to go on set, at work, or to do my emails, to see my sons, and, before I even know it, I am all of a sudden in another place. Already!" "Maybe modern life has became a little of a supernatural thriller per se? I definitely sleep way too little lately, but again, I just love what I do. My life is separated by my business, but yet finding time for all the things I do during a day it's been a challenge! Maybe there's a dimension we do not truly know or perceive that has changed!" "And certainly the internet has its faults! Life is never the same after a movie, you can imagine, what it must be after so many. I must be grateful for the work, but I am often torn about time and its meanings. That is why I try to meditate during long segments spent staring at the sunset over the Pacific! Maybe the sense of absolute only nature can convey. It is calming and does infuse me with some rest, after all! But sleep, real sleep? Oh, these days it's a huge achievement!" If you would like to win an AUTOGRAPHED (and personally dedicated-to-you) 'The Ghostmaker' poster, just answer this question about the film's music: The soundtrack includes the track "Echo," which is written by Ryan Christopher Danley and Joe Chopski, but actually performed by ... whom? !